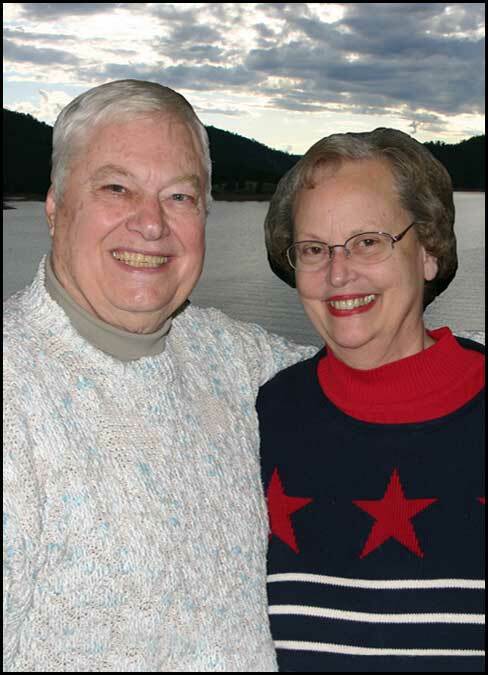 RON and JANE BECKER taught at Chadron High School for two years – 1958-59 and 1959-60. Jane taught English and Speech; Ron directed the band and choir. The Beckers grew up in Lincoln and met at the University of Nebraska. As teachers at CHS, they were both involved with many student productions, including God’s Trombones and Carousel. By1960, Jane became a stay-at-home mom to care for their new son. They soon moved to Scottsbluff, where Ron became Director of Instrumental Music for the school system. He took the Scottsbluff band to Washington, DC for the inauguration of president John F. Kennedy in 1961 and to the New York World’s Fair in 1964. By 1968, Ron Becker began a career in school administration, taking the position of assistant principal at Scottsbluff High School. Shortly after the arrival of their daughter, the Beckers moved to Lincoln, where he was Director of Secondary Education for the Nebraska Deptartment of Education; during this period, he pursued and earned his doctorate at NU. Jane worked for Stanford Research. After Ron’s stint as state director for the North Central Association, the family moved to Sioux Falls, South Dakota, in 1976, and Ron became director of secondary education for the school district. In 1994, he retired, but later went back as assistant superintendent for the Sioux Falls School System for a couple of years. From 1995 through 2005, he served as a consultant for the U.S. Department of Defense, traveling the globe in evaluating Department of Defense Dependent Schools (DoDDS). Jane Becker was also at work in the 1990s, specializing in clergy taxes for a Sioux Falls CPA firm. She retired in 1996, but continued to volunteer for the IRS/AARP program. Active in the arts community of Sioux Falls, Ron was enlisted to serve on the Board of Directors for the Friends of South Dakota Broadcasting, where he contributed his talents for many years – including multiple terms on the national Association for Public Television Stations. The Beckers live in Sioux Falls. NOTE: Thanks to Con Marshall for providing much of the information contained in this piece.